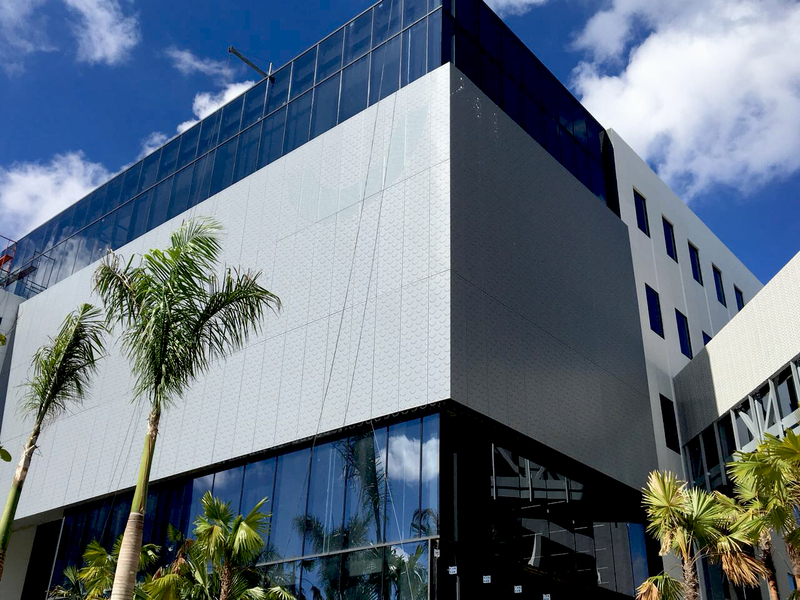 500 m2 of IMAR IMAGING in lacquered aluminium with perforations in three different diameters define the customization of the façade at the headquarters of Primera ARS of the Humano insurance group, in the Dominican Republic. 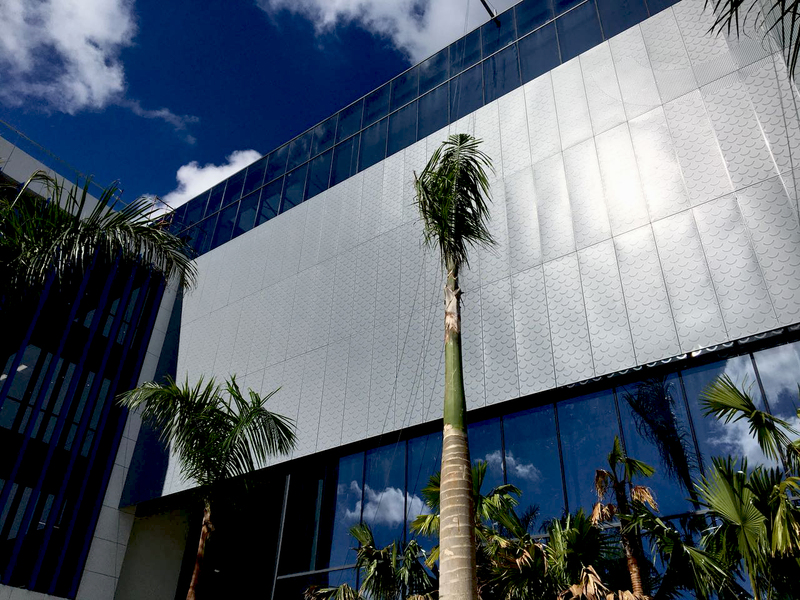 Leveraging the possibilities offered by the triple drilled envelope, we have achieved transparency from the inside while projecting the company’s corporate image on the exterior with different types of ‘mini smiles’. The projects was carried out together with GVA, consolidating our presence in this West Indian island, with three projects carried out in less than six months.